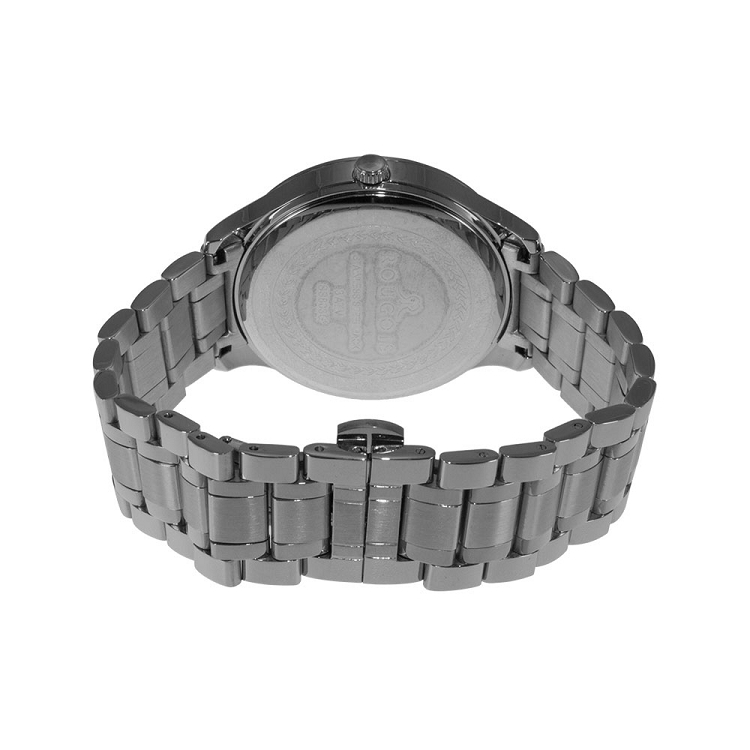 Stainless steel links make up this watch wristband to transform into the white textured watch face. 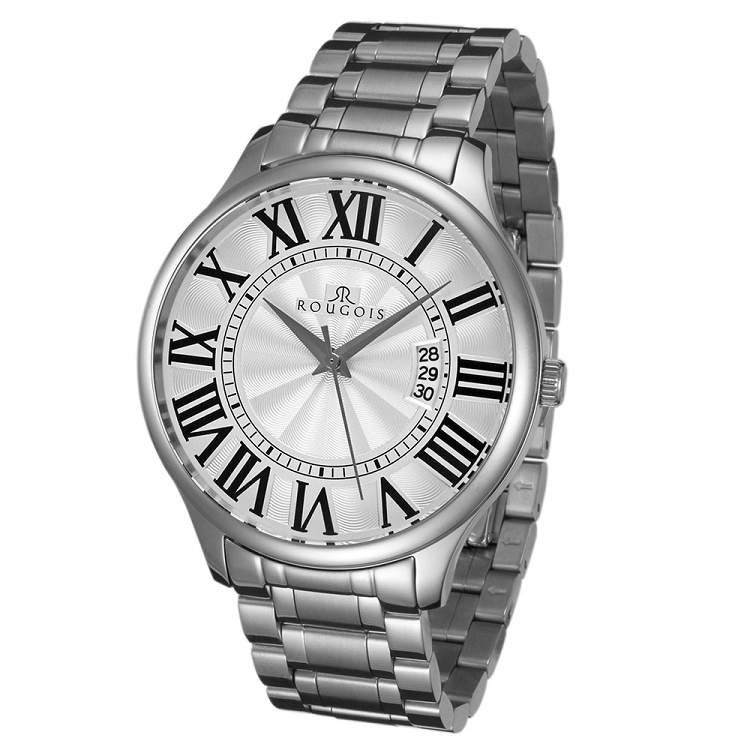 Bold roman numerals line the outer edge of the face, which features geometric textured shapes, and minute or second dashes to accompany the silver hour, minute, and second hands. 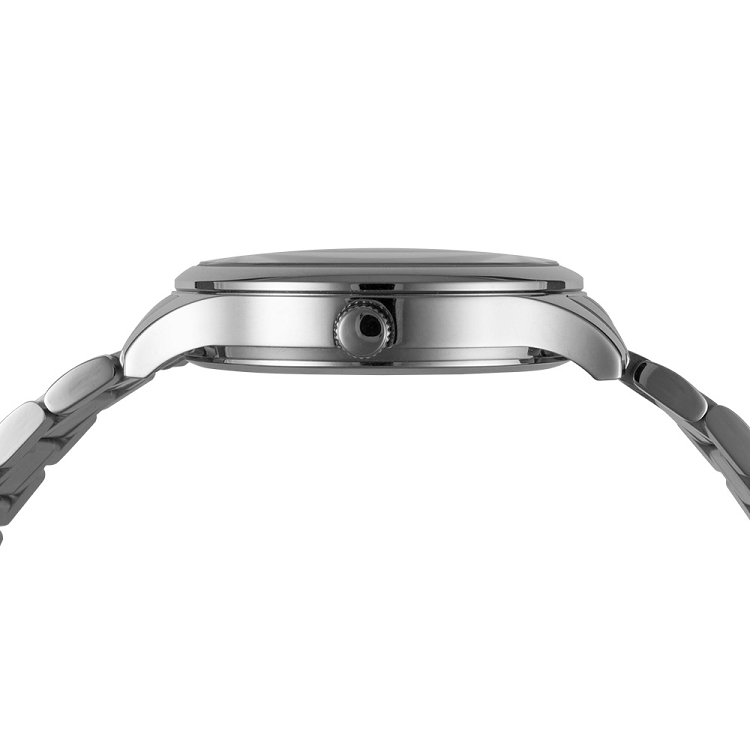 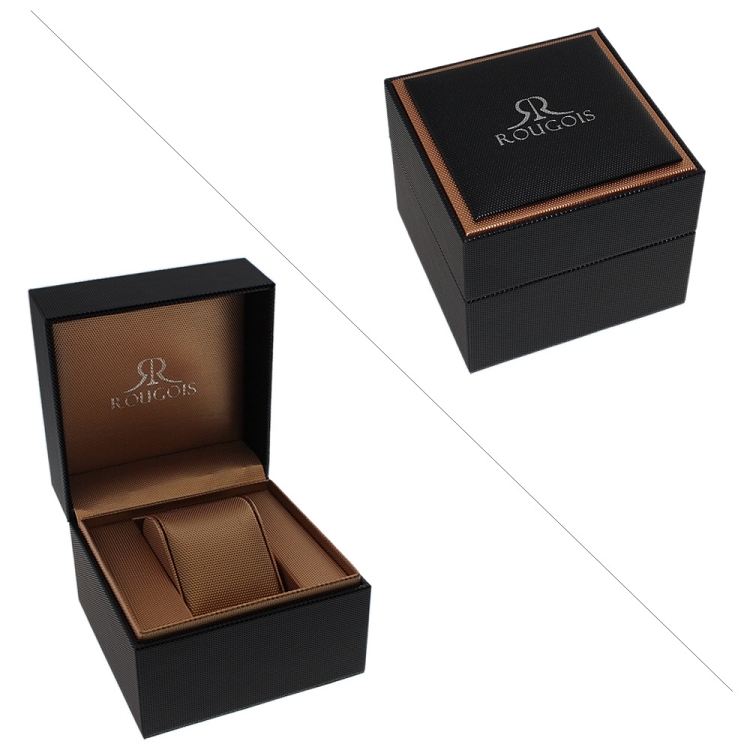 The right side of the watch also features a date section making this timepiece complete.